A high-profile case of alleged scientific censorship ended Friday when the National Park Service published a long-delayed report outlining how rising seas could damage parks across the country. The report includes references to mankind's role in climate change — something federal officials had tried scrubbing from the study, according to documents released under a state open records request. The study had languished under administrative review since early 2017. Although National Park Service officials say the report was handled properly, the study's lead author says the administrative review process has morphed from a "rubber stamp" into a tool for the government to suppress inconvenient science. "Censorship is a good word for that," said Maria Caffrey, the University of Colorado, Boulder, researcher who led the study. She plans to file a scientific integrity complaint. 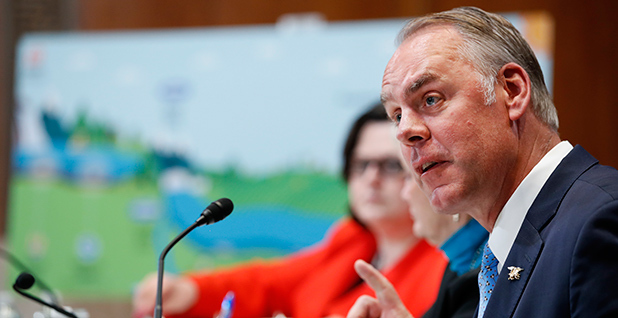 The alleged interference, first reported by the Center for Investigative Reporting's Reveal, attracted attention from Democratic lawmakers and the inspector general for the Interior Department, which includes the National Park Service. The affair also raised pressure on the Interior Department at a time when Secretary Ryan Zinke was defending political staff for reviewing research prior to publication. Zinke said no political staff was involved in editing the report, and he wanted an investigation into how journalists obtained the draft report before it was given to agency headquarters (Climatewire, April 12). A National Park Service spokesman said the only unusual part of the study's review was the press's involvement. The spokesman, Jeffrey Olson, said officials suggested edits that "focused the report on issues specific to national park units." "Scientists normally conduct experiments, gather and analyze data, write about and argue conclusions to a point of consensus, often through multiple drafts and usually out of public view. The scientists preparing this report were doing just that when working drafts of the report were published in the news media before the authors had completed their deliberations," he said. Caffrey, who began working with the agency in 2006 under the George W. Bush administration, said she'd never experienced a process like this. "Every administration has its own set of rules," she said. "Maybe that's going to be the new normal for this administration." She said other researchers were also facing pressure but declined to identify them because of the pending inspector general review. Science advocates have raised alarms about self-censorship under the Trump administration, saying political research reviews and staff reassignments create a chilling atmosphere (Climatewire, May 15). By the same token, public scrutiny seems to be counteracting government censorship, Caffrey said. And while she's glad to see her work reach the public, she says more work is needed for park managers to understand how climate change will reshape the nation's most treasured lands — and it's not clear whether that will happen under President Trump. The study found the National Capital Region could experience the greatest effects from sea-level rise, while the Southeast region would see the greatest uptick in storm surge. Past research has found 1 meter of sea-level rise could cost the National Park Service billions of dollars. And Caffrey said much more research is needed in places like Alaska and Louisiana. "This was really a first step, a broad brush, to addressing what's going on in these parks," she said.